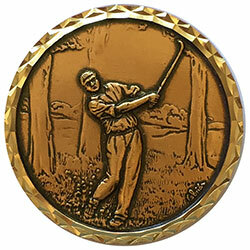 70mm gold silver bronze coloured in the trees golf medal. Optional event & year engraving on the back. Too heavy for neck wearing so no ribbon loop.